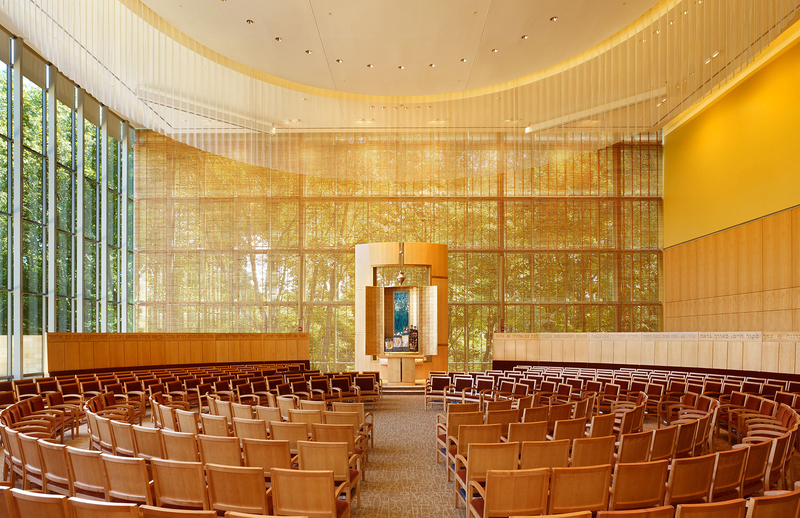 Gracefully set in the midst of a wooded site, the Temple Beth Elohim is a place of truly inspirational beauty. 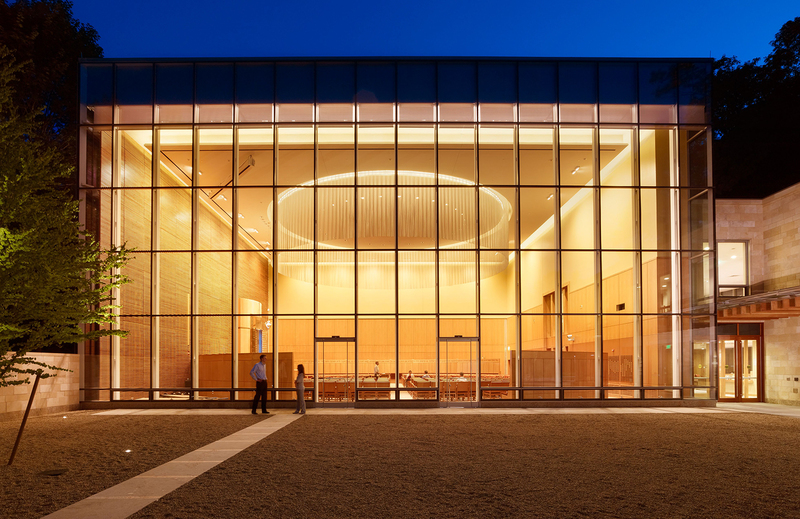 A glowing emblem of light and hope, this bright and welcoming space invites community members to join in faith and worship with an elegant arrival sequence through an open courtyard of crushed stone. 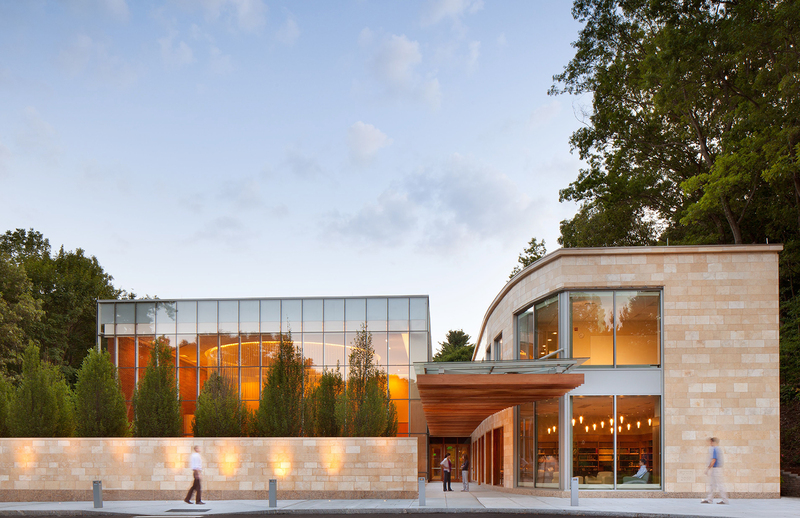 Bordered by a simple allay of trees, this serene exterior contemplation space seamlessly transitions to the interior worship space as the heart of the temple. This space’s beautiful proportions and amazing use of natural light create a calming and ethereal atmosphere unlike any other. 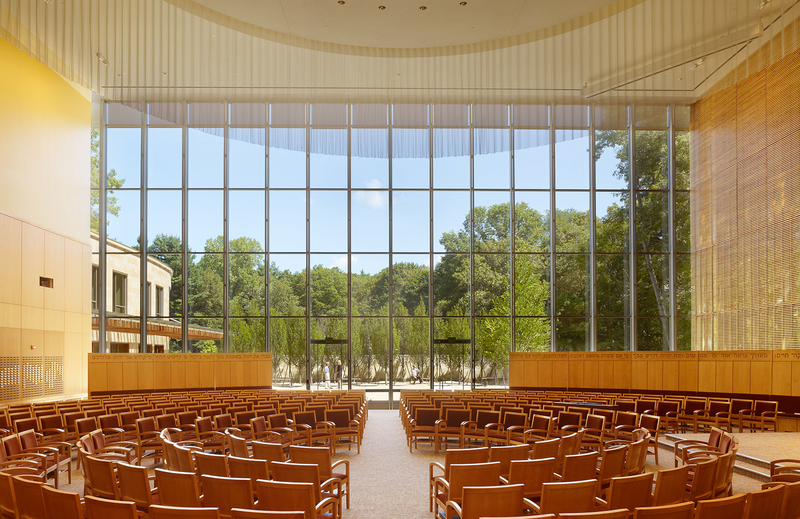 Light glass curtain walls with highly detailed and refined screening elements allow the energy and beauty of the courtyard and the natural environment to permeate the worship space, providing a sublime and uplifting backdrop for religious life and ceremonies of all kinds. A study in elegant simplicity and serenity, the jury found that this breathtaking and thoughtfully composed space inspired both reflection and connection among religious community members from all walks of life. On behalf of all of the jurors, we would like to thank the Boston Society of Architects/AIA and especially Mary Fichtner, for her guidance and support throughout the selection process. It is truly inspiring to see and share in the stories of so many of our design community’s successful placemaking efforts. 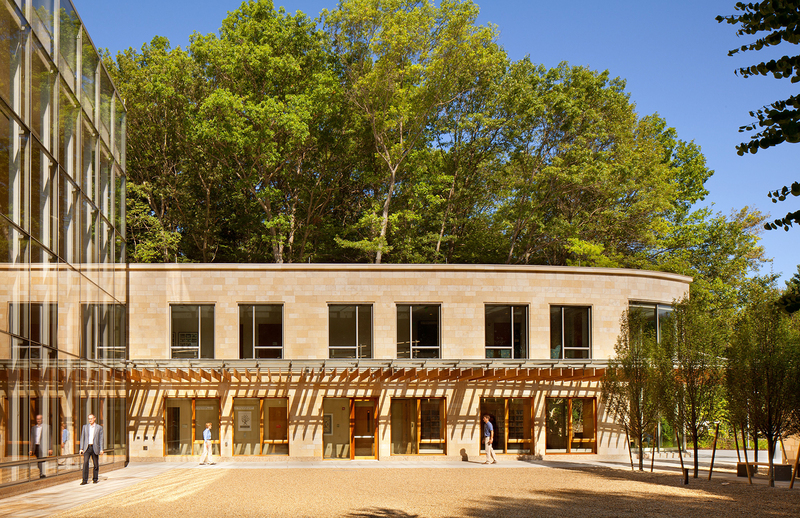 Congratulations to the recipient of this year’s award, all of the finalists and entrants, and to the greater Boston architectural community for continuing to set such a high bar for architectural design.